Awake & Moving: Frontage Is Touring Through The West Coast. Frontage Is Touring Through The West Coast. The homies in Frontage are embarking on another tour. This time, heading through the West Coast and finishing off back here in the Lone Star State. They're kicking off the tour with a show in their current base of San Antonio at Jack's Patio Bar tonight. With some new merch in tow, these guys are ready to melt your faces off. Help send them off in style. 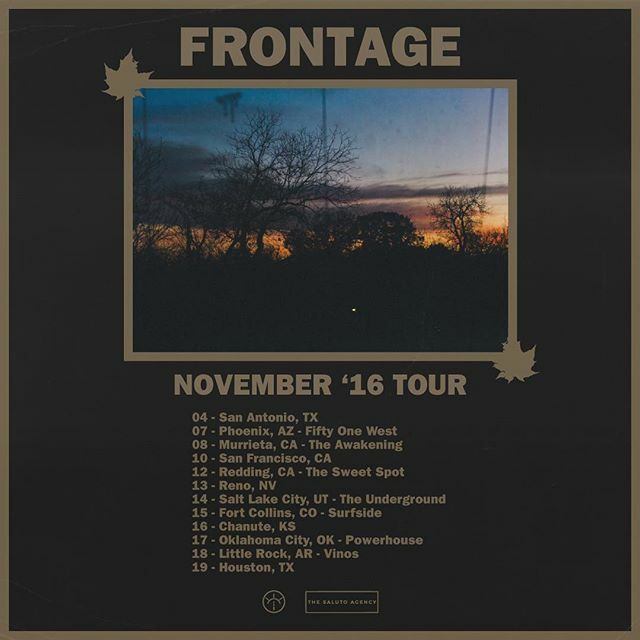 I love watching Frontage live and if you happen to be in any of the following cities they're hitting, be sure to check out their show and tell them I sent you. While you're there, cop some merch and support good music! Frontage hits the West Coast.